The FB stock price has dropped 8.52% in 2016 during a global sell-off, and worried investors are wondering if they should sell their shares of Facebook Inc. (Nasdaq: FB). 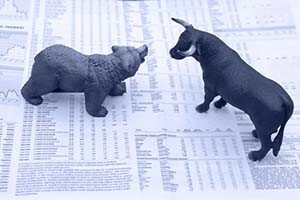 It's true that the global markets are tanking and could continue lower. The Dow Jones is already down 14% from its May 2015 highs. And because of that, almost every stock is being pulled down. But Money Morning readers need to understand why the markets are so volatile before making a decision on Facebook stock. You see, the markets are reacting to declining economic growth in China and oil selling at all-time lows. In addition to the Dow's drop, the Nasdaq and S&P 500 have dropped 11.8% and 12%, respectively, since May 2015. The downturn is being called many things, from a stock market correction to a full-blown bear market. But no matter what you want to call it, there's one thing you shouldn't do: panic. In his warning to investors on Jan. 15, Money Morning Chief Investment Strategist Keith Fitz-Gerald stated that he understood the reason for the bearish sentiment in the market. "There's a growing litany of headlines that would have you believe that it's game over, and that's not helping matters much," said Fitz-Gerald. "Many investors are understandably tempted to head for the hills or stuff their money under the nearest mattress; you're not alone if you're one of them." According to Fitz-Gerald, sell-offs are an integral part of the markets, and they actually create opportunities for savvy investors. You see, Facebook has very strong fundamentals, even though the FB stock price is down in 2016. For Q3 2015, Facebook beat Wall Street's expectations in earnings per share (EPS) and revenue. Facebook also increased its monthly active users (MAUs) to 1.55 billion, which was a 14% increase from the same time period a year ago. And Instagram, Facebook's mobile picture app, reported 400 million MAUs in September 2015. In 2015, FB stock climbed 29.6%, compared to a loss of 3.5% for the Dow Jones. However, even FB stock couldn't weather this recent volatility. But Fitz-Gerald doesn't advocate selling FB during volatile times. "Focus on quality stocks selling products and services the world cannot live without," Fitz-Gerald said. "In tech, for example, that includes names like Facebook Inc. (Nasdaq: FB), Apple Inc. (Nasdaq: AAPL), and Alphabet Inc. (Nasdaq: GOOGL)." One of the biggest catalysts in 2016 for FB stock will be the company's revenue growth. And the company's monetization of WhatsApp in 2016 will be a big part of that. CEO Mark Zuckerberg purchased WhatsApp in 2014 for $19 billion but hasn't monetized the service yet. That will change soon, as WhatsApp announced on Jan. 18 that it plans to work more closely with businesses to have them communicate with customers. Zuckerberg's plan is to create interactions between organizations and businesses that users want to hear from. Then, he will introduce paid ads like he did with Facebook, after users have adapted and understand the platform. Business Insider projects that WhatsApp could earn $3 billion annually in revenue by 2020. Facebook purchased virtual reality company Oculus VR for $2 billion in March 2014, which puzzled Wall Street. Many analysts wondered how a virtual reality company would help a social network, but Zuckerberg used the opportunity to show off his skills as visionary. By 2018, research firm CCS Insight projects that the augmented and virtual reality device market will be worth $4 billion, double what Facebook paid for Oculus VR. The virtual reality market mainly focuses on games right now, but Zuckerberg believes that the technology has plenty of additional applications. "After games, we're going to make Oculus a platform for many other experiences," Zuckerberg stated. "Imagine enjoying a courtside seat at a game, studying in a classroom of students and teachers all over the world, or consulting with a doctor face-to-face – just by putting on goggles in your home." Facebook is more than just a social network, and Zuckerberg has changed how we interact in the world today. Through pictures, messaging services, and augmented reality, Facebook has turned into an unstoppable global force. So even though the market is down and FB stock is falling along with it, Fitz-Gerald cautions Money Morning readers not to panic. "As long as you're investing money that you won't need to spend in the near term and keep risk management top of mind, you can weather a downturn," Fitz-Gerald stated. "It doesn't always feel nice, but it's how you win in the end." Tags: 2016 bear market, Facebook Stock, Facebook Stock Price, Facebook stock price 2016, fb stock, FB Stock Price, Nasdaq: FB, stock market correction. Good points here on fear in the markets based off of media headlines which doesn't help matters at all when it comes to the sell offs we are seeing right now in the stock market. Just my opinion but if people weren't so impatient and waited out the bearish sentiment, I think they would find that through a dollar cost averaging perspective, they will be okay in the long run if they are diversified through something like an indexing approach. Agreed Casey! Dollar cost averaging is the way to go. But, like you said, people just don't seem to have the patience. Thanks for checking out the article. Interesting. I have been the oil field all my life and I know some who talked about what was in sand, just how to get it out. Thanks for the article because I'm a recording artist/record label owner who advertises on Facebook and owns some of it's stock as well.